Waydo was "instrumental" at Waymo, some of her former coworkers told The Information. Specifically she was responsible for checking the safety of prototypes, and helped coach the company on when it was okay to begin real-world road tests in Phoenix. Before that the engineer was with JPL for over a decade, where her signature work was developing one of NASA's Mars rovers. The implications of the hire are uncertain, but safety has become a paramount concern in the self-driving car industry following a death caused by an Uber vehicle and multiple accidents involving partially autonomous Tesla cars. Apple has been steadily growing its test fleet, and may need more people for quality control. 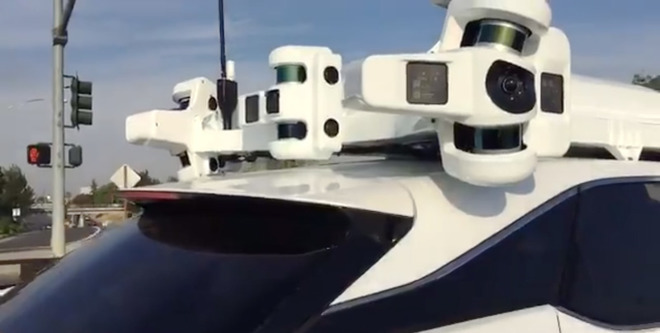 The state of Apple's self-driving project is otherwise uncertain. The company started out designing its own electric vehicle under the codename "Project Titan," but soon scaled back to platform work. Its long-term goal may be the ridehailing market, most likely in partnership with one or more third parties. Recently the company reportedly signed a deal with Volkswagen to use T6 Transporter vans for its PAIL (Palo Alto to Infinite Loop) shuttle network. The project is allegedly behind schedule, and consuming most of the Apple car division's time. Even once the shuttles are ready it's expected that they'll still have a backup driver and a co-pilot.